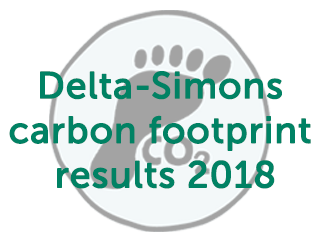 The scope of Delta-Simons’ carbon footprint assessment includes anything that the company is directly responsible for or has significant control over, and that we are able to record the data for. Our mentality is: if we can measure it, we will measure it. It is with great pride that we can say our data collection is getting better and better each year due to the engagement of our entire team, from the business support team booking travel to every consultant submitting their expenses, everyone plays a role in helping us calculate our carbon emissions. The scope of our carbon footprint covers company vehicles, personal cars, hire cars, public transport, drilling rigs and site materials, electricity and gas bills, and office waste. We aim to reduce our impact in all these areas, but it is not always possible. Here are some examples of our successes and challenges. We have invested in a new fleet of vehicles which balance the requirements of our site-based work with fuel-efficiency. 2018 saw us procure our first fully electric vehicle and install electriv van charging points at our sites. 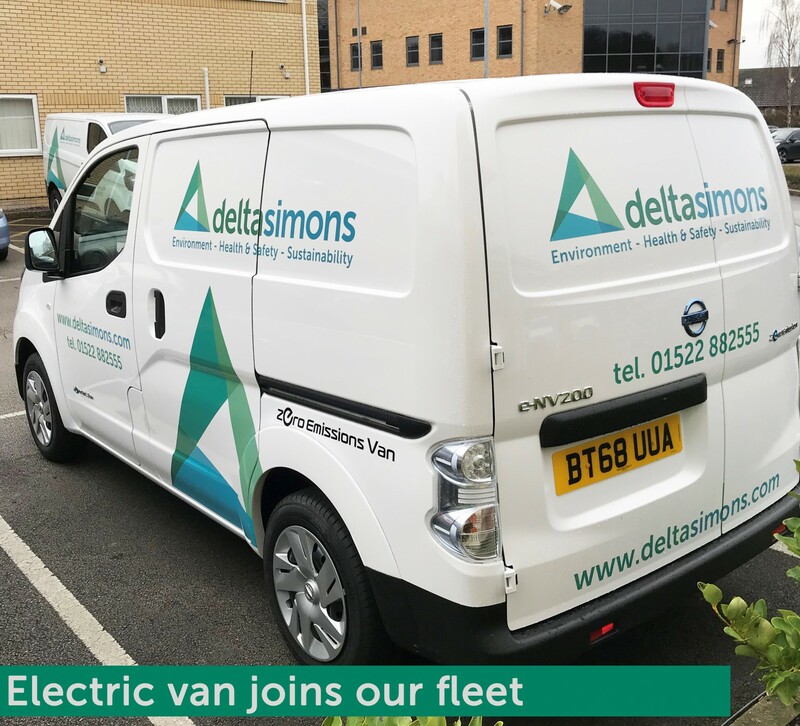 As we continue to grow we aim to add electric and hybrid vehicles to the fleet in order to reduce our contribution to air pollution and climate change. Our investment in our IT systems allows our people to work more effectively whilst on the move, meaning trains are now the preferred choice of travel. We are embracing opportunities for remote working – reducing unnecessary travel. As a growing business working with our Inogen partners across the world some air travel is necessary. However, we try to limit this where possible. Overall, our emissions across all forms of transport has reduced for four years in a row through a more efficient fleet, better infrastructure and more effectively planning. It is no surprise to see total electricity consumption increase slightly in the past year, as the continued growth and expansion of the business saw relocation to larger offices in both Leeds and Manchester. Additionally, severe weather events in 2018 (“The Beast from the East” in February and March, along with the extended summer heatwave) impacted heating and cooling demands in our offices. In order to better understand the impact of weather conditions on our carbon footprint, our sustainability team are undertaking trend analysis using heating and cooling Degree Days. Whilst we understand there will always be a place for paper in the workplace, we are driven to become as paperless as possible. Last year we achieved a massive 67% reduction in the number of A4 sheets consumed per employee. This is a result of continued investment in online HR and accounts systems which makes the company more efficient, and also has a positive impact on the environment. As a fast-growing business with more work and a growing workforce this almost inevitably comes with increased carbon emissions. Our goal is to reduce our relative impact. Our carbon footprint across the 2018 calendar year was 331.49 tonnes of CO2 equivalent (tCO2e). This is an increase of 14% on the previous year. However, during 2018 our employee headcount rose from 104 in January 2018 to 130 in January 2019 – an increase of 25%. And our turnover increased by 25.4% too. In order to assess our relevant impact, we calculate our emissions as normalised figures – or intensity ratios. Despite business growth throughout 2018, total emissions per employee and total emissions per £100,000 revenue continue to decrease, year on year, for the fourth successive year. There are always challenges ahead, but focusing on making a business more efficient and more successful will usually reduce its environmental impact and vice versa. We understand that business and the environment are intrinsically linked and will continue to invest in improving our service to clients and the natural environment we share. As such, we have developed its Environmental Social Governance (ESG) Policy and will be communicated both internally and externally in the coming weeks. The aim of which to bring together everything that we are doing to measure and improve its environmental, social and economic sustainability in the future. For guidance and advice on how we can help your company and it's carbon reporting, visit our Carbon & Emissions service page.